Marçal Forés’s high school drama about a young man discovering his sexuality caught between surreal childhood fantasy and Romantic adolescent angst falls short of leaving an emotional impression. You’ll remember it as the sad movie about the boy with the yellow bear, but it’s too fixated on teen-aged death fantasy to feel genuine. 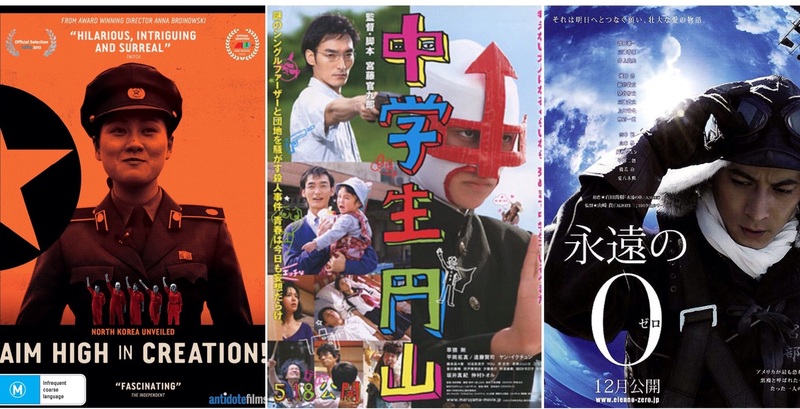 The New York Asian Film Festival runs from June 27 – July 15 this year. I usually try to go to a few of the offerings. I generally like their program as it focuses more on popular films coming out of Asia and doesn’t limit itself to whatever broad critical acclaim brings us film festival tedium. The Asian films that European critics Love are seldom the ones that keep me engaged. One criticism I have of the festival is that “Asia” is narrowly defined as Japan, Korea and the China zone. Sure that covers 1.5 billion people, but there are other countries with robust film industries that are worth a peek. But for what it does, it usually has a line up of films that are worth seeking out. Review: Dangerous Boys (Thailand: 2014): Youthsploitation for Everyone? Poj Arnon’s youth-oriented Dangerous Boys has a little bit of everything, to the point where it feels like it’s pandering more than telling a story. That awkward feeling that comes when you realize that you’ve got nothing new to post on Love Sick, so you’ll just recycle old images while you wait. Where have you guys been hanging out while you wait for the new subs? How do you get your LSS2 Fix? I know about Soompi (which I find confusing to follow now that there are 80,000 comments on 9000 pages) and the interfans Facebook pages, but what other places do you go in pursuit of fandom? Because Nothing says I’m Into You More..